In the coming years, dealers will face growing wholesale demand that may outstrip supply, along with increasing margin compression. However, dealers can turn these challenges into opportunity by focusing on selling more cars at a faster rate rather than focusing on gross per unit. Dealers can use tools and technology to improve their inventory acquisition process, which will speed inventory turn and increase profitability. In addition to helping dealers know exactly which vehicles to buy and where to buy them, technology and vendor resources can help reduce transportation, reconditioning and marketing costs while helping bring vehicles more quickly to market. Speed is of the essence to make the most of every investment. Ideally, dealers should retail at least 55 percent of their inventory in under 30 days of age to ensure sufficient sales velocity and profitability. Dealers should have a pricing strategy that adjusts for market condition and inventory age. Dealers will face three key challenges in the year ahead. First, there’s an unprecedented level of incoming wholesale supply, driven by record numbers of off-lease vehicles. More choice in the lanes means more opportunity and more risk. Second, we’ve seen some predictions that the incoming supply may outstrip demand — a potential imbalance that makes having the right cars in stock, at all times, ever-more important. Third, the pace of margin compression continues. Franchise and independent dealer alike face the prospect of making less gross profit on every car you retail. But despite the challenges, there’s plenty of opportunity for dealers who make increased operational efficiency and profitability the cornerstones of their inventory management strategies. To maximize efficiency, you’ll need to do things faster, whether it’s acquiring cars, getting them retail-ready online and on your lot, or pricing them for a fast retail sale. To increase profitability, you’ll need to pay extra-close attention to the market as you decide the vehicles you should stock, and how to price them. Remember, you’re working against increased margin compression and market transparency, which means retailing more cars in less time is essential to improve profitability and inventory turns. Let’s break down these imperatives into bite-size pieces. Know exactly what to buy. It’s impossible, without the help of technology and tools, to know how a specific vehicle’s color, equipment, mileage, ownership history and trim level will play against competing cars. Technology lets you set up buyer-smart inventory streams that accounts for these factors, as well as your condition and profit criteria. You see more vehicles from anywhere across the country that make sense. You eliminate spending time evaluating cars you’ll never buy. You should also have the mindset that just because you sold 50 cars in the past month doesn’t mean you buy 50 more to replace them. Your goal should be replacing the cars you’ve sold with “right” cars for tomorrow’s buyers.To be sure, the “right” cars are different for every dealer, given individual objectives for inventory turns and profit, and local market conditions. Before going to the auction in-lane or online, you should have an exact idea of what you need (not want) and be willing to prioritize your auction and trade-in purchases around them. The devil’s in the details, which means you need to be a stickler about the right equipment, color, condition and mileage for your market.Metrics like Market Days Supply are essential to understanding the “right” vehicle for your market. This metric measures the supply and demand of specific used cars based on the number of competing units in a market, and sales over the past 45 days. You should look at this on a per-car basis as you make appraising, acquisition and pricing decisions, and on a total inventory basis as you’re weighing the overall desirability of your units in stock. Know where to buy. With increased competition to acquire auction cars, expanding your sourcing efforts beyond the local auction is just good business. The most proficient dealers and buyers rely on technology to tell them where the cars they want reside and to facilitate the transfer of the purchased units back to the dealership. While you’re at it, understand your transportation options. It’s self-defeating to wait a couple of weeks to save a few bucks on a load. Logistics companies like Ready Logistics handle everything with just a phone call. Or you can self-manage transportation through online providers like Central Dispatch. Focus on the money. In today’s margin-compressed environment, it’s just as, if not more, important to acquire and retail vehicles that help you achieve a faster through-put of retail sales and maximize front-end gross profit. Sourcing tools let you see every unit’s retail profit potential right up front, which allows you to prioritize and pursue cars with the best retail potential and condition, accounting for the costs of acquisition, transportation, reconditioning, etc., before making your first bid.You also need to hold appraisers, buyers and managers more accountable for buying vehicles “on the money.” They should be buying vehicles at or near a respective cost-to-market ratio of 80 percent to 85 percent. Anything higher and you give up profit potential unnecessarily. Do it all faster. With technology, prepare for auctions in minutes, not hours. Eliminate trips to auctions where the cars you need weren’t there in the first place and stop wasting time bidding on the wrong cars. Take emotion out of the equation and use discipline. You know who you are. You get so tired of losing cars that you just buy them. The problem, of course, results in paying too much. Stick to your guns and don’t let emotions cloud a good investment decision. When you know you have other options at other auctions, it’s easier to walk away when your profits and purchase parameters dissolve. And also recognize there are instances when “paying too much” for a vehicle with a less-than-desirable Market Day Supply is OK, so long as you get it merchandised and priced for a fast retail sale. Finding the “right” cars as cost- and time-efficiently as possible is only part of the path to increased performance and profitability. Once you own the vehicles, speed is of the essence to make the most of every investment. Ideally, you want to retail at least 55 percent of your inventory in under 30 days of age to ensure sufficient sales velocity and profitability, given today’s era of price competition and margin compression. Used vehicles today are like fresh fish. Every day they sit, they’re worth a little less. Your challenge, and opportunity, rests with applying greater speed and market insights as you recondition, price and promote your vehicles. Fundamentally, you need to minimize retail-ready delays. It’s still not uncommon for dealers to lose three, five, seven or even more days of a vehicle’s retail lifecycle waiting for reconditioning or detailing work. Three days is rock-solid; any more than that starts eating away at your profits. You might argue that if you’ve used tools and technology to buy the right vehicles, what’s another day or two if you’re able to retail that vehicle in a week? Odds are you aren’t going to sell that vehicle in a week, so the longer it takes to get it on the lot, the more momentum you’re losing and the higher your holding costs. 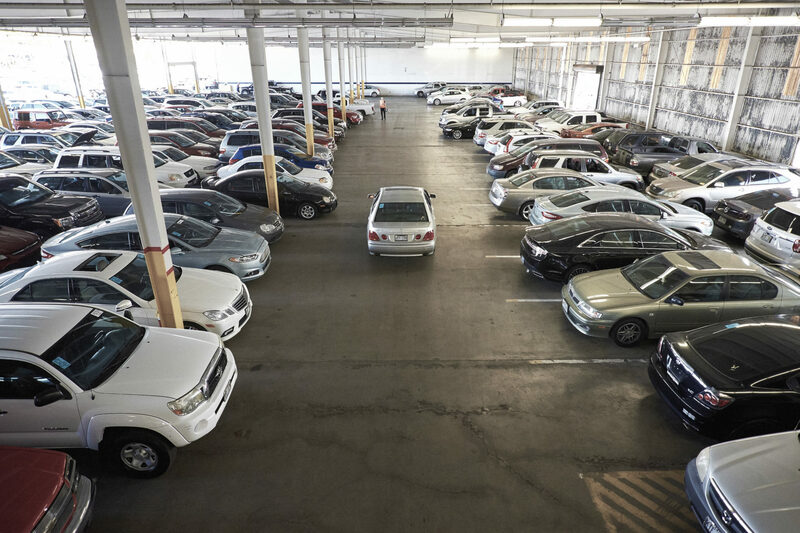 Retail-ready and enhanced imaging services from Manheim can help you with recon and merchandising before vehicles even leave the auction, allowing you to market front-line, ready-to-buy cars online. Same goes for the number of days it takes to get a vehicle listed online with photos, descriptions and pricing. Take the photos before the detailing and recon starts, and get everything uploaded to third-party sites like Autotrader and Kelley Blue Book, as well as your own website, as quickly as possible. With a 30-day retail window, time is not on your side. Next up, stay on top of your pricing and always adjust for market conditions and inventory age. Pricing used vehicles is not a one-and-done deal. Know where the vehicle stands in the market against competing cars and buyer demand as you set your initial retail asking price, and re-price. It’s going to be another great year for the used car business. The winners will be dealers who make increased efficiency and profitability a priority — and those who shed the idea that it’s OK to hold out for gross. The old saying, “Pigs go to market, hogs get slaughtered” really applies here. You don’t have to do this alone. The benefits of today’s really smart tools and technology are innumerable. Ask your partners for solutions that best fit your unique needs. There are solutions available that can help you reduce your time to market by providing insight into pricing and then connecting you to auctions, transportation, merchandising and advertising, shrinking the time it takes to acquire and market your inventory significantly for more exposure.